Since sharing my resolutions to hand write more letters and to take better care of myself, I have been inspired by Nicole of Teaspoon Social to frame my new year's goals as aspirations rather than resolutions. I do like the gentler nature of aspiring versus resolving! The third of my three aspirations for the year is to explore more tea meaning to drink as many different teas as I can and to learn more about tea. For the second part of this two-part resolution, I have subscribed to several new blogs and read Joseph Uhl's The Art and Craft of Tea and Linda Gaylard's The Tea Book. 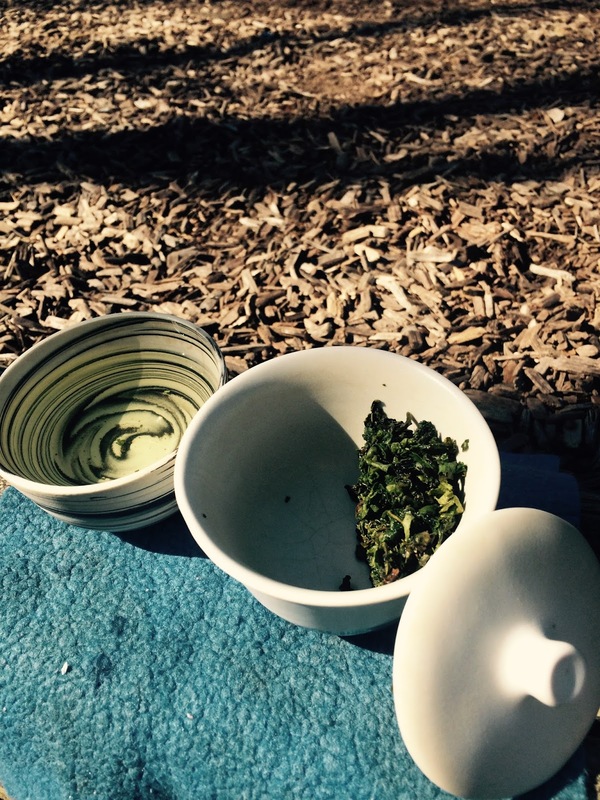 To tackle the drinking different kinds of tea component, I subscribed to a tea club. I researched many of them and decided on Yunnan Sourcing. (Disclosure: I committed to two months.) I selected the Jade Club box which includes oolong, green, and white teas. 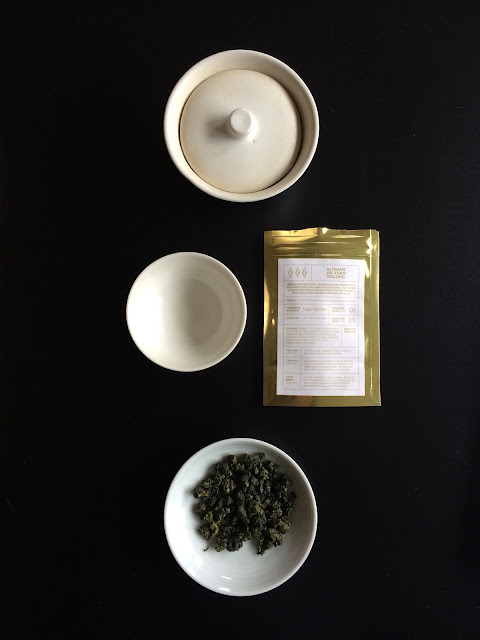 In my first box was Ai Lao Mountain Jade Needle Autumn 2015, Lu Shan Yun Wu of Zhejiang Autumn 2015, and Imperial Tie Guan Yin of Anxi Autumn 2015. I completely finished the tieguanyin but am still working on the Ai Lao and Lu Shan Yun Wu. 5-10g of tea goes a long way!! Last month's box contained Silver Needles of Feng Qing Auntum 2015, Light Roast Premium Tie Guan Yin of Anxi Mini Tuo Cha, and Snowflake Da Wu Ye Dan Cong Winter 2015. I've been in a tieguanyin state of mind so I started with the mini tuos of tieguanyin. Another strategy I am using is to purchase samplers. Having had good experiences with the oolongs offered by Tea Ave, I bought the company's Mountaintop Sampler of 6 oolongs: Tie Kwan Yin, Wenshan Baochung, Alishan Jin Xuan, Dong Ding, LiShan, and Oriental Beauty. Nicely, three scented oolong samples were included in the package. Guess which of these I'm currently drinking? Yes, the tieguanyin. In yesterday's mail was my Verdant Tea sampler. This is a good deal sampler. Five samples for $5 which includes shipping. My box included a tieguanyin (which I'm drinking today), a Laoshan black, a Laoshan green, a 300-year tree 2015 sheng, and a mystery tea (the name is in Chinese).